Lorraine Paton: Is it Christmas? In October? Wow! What a difference 14 days makes! As you may recall, two weeks ago I posted a photo of the tree outside my office window. It was so beautiful with its yellowy leaves. And, secondly, I am feeling rather Christmas-y. Two of my book covers, which I sell through http://www.selfpubbookcovers.com/, were purchased by authors over the weekend! Yay! AND, on Saturday, I finished my revisions on Annie's Christmas Plan. Annie and Quinn's story is now in the hands of my fearless editor. (This was followed by happy dancing and wine drinking.) Their story is set largely in a winter wonderland of hope and Christmas crafts, so the snow is a perfect accompaniment. 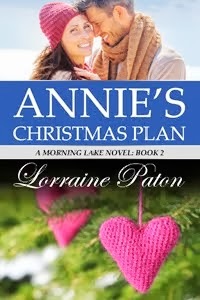 Sign up for my newsletter to get first-hand news of Annie's Christmas Plan's upcoming release and other news! 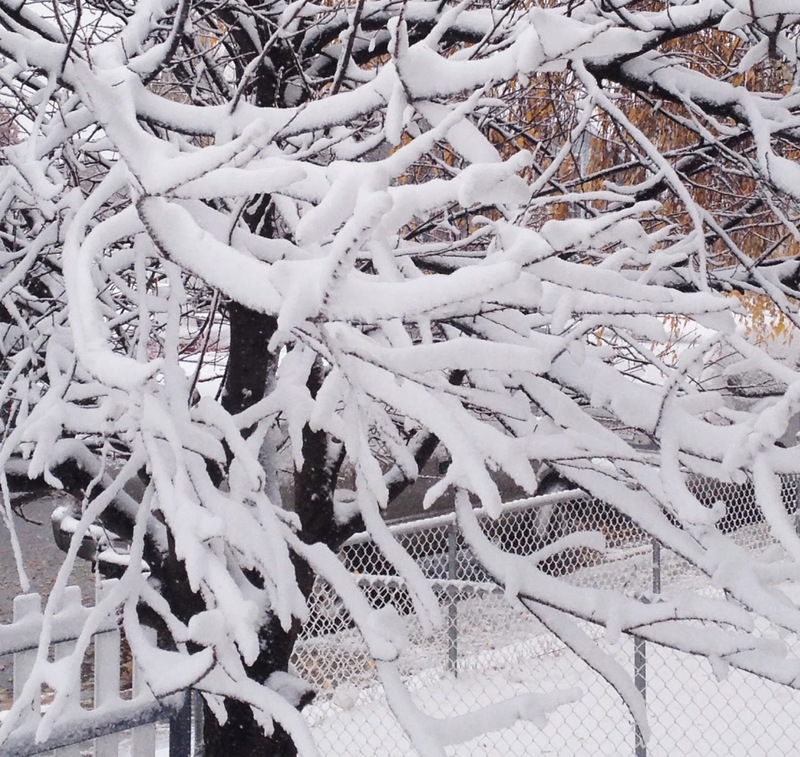 How do you feel about the first snowfall of the year? I love the first snow fall, even though it nearly always comes before Halloween. I enjoy the sound of ice and snow as it crunches under my feet and how everything looks so clean, as if an unseen hand has covered everything with a glittering layer of whitewash. Don't get me wrong, I don't prefer winter to the other seasons but by the end of summer I'm ready for the change. Of course, the same is true of winter by the time March comes there's a chance I'll hang myself rather than face another flake of snow. It is pretty and if you don't have to drive it's wonderful. I like the snow until after Christmas. But after that it is welcome to go away. I saw someone who hung halloween decorations and I should have taken a picture. I'm not sure if there were any ghosts and his poor floating goblins were white and drooping. Now, might be a better time to decorate -after the snow goes.